In this Bonus Scene of the Better Buildings Challenge SWAP 3, brought to you by the U.S. Department of Energy, watch the moments you didn’t get to see behind the scenes and on-camera outtakes. Energy efficiency projects and its paybacks can be financially attractive to cities and communities; however, they still face the challenge of paying for sustainability upgrades with competing capital dollars. The cities of Atlanta and Boston take on airports, water treatment facilities, an historic library and much more. 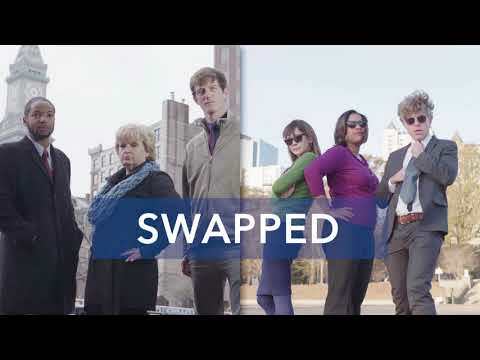 Stay tuned - Season 3 of the Better Buildings SWAP will launch this March. Follow the U.S. Naval Academy team as they explore the U.S. Air Force campus’ busy dining hall and kitchen, academic hall, dorm, and solar panels. Watch the U.S. Air Force Academy team explore the U.S. Naval Academy’s dining facility, dorm room, athletic field house, academic hall, and biodigester process. Stay tuned for more Better Buildings Challenge SWAP. Research is key to undergraduate education at the U.S. Naval Academy and U.S. Air Force Academy where students are helping solve Navy and Air Force energy problems. Check out the upcoming opener for the Better Buildings Challenge SWAP, a three episode, web series featuring partners Hilton Worldwide and Whole Foods Market. One energy team from Whole Foods. One energy team from Hilton Worldwide. Swap buildings to see what they can learn from each other when it comes to saving energy. Watch the trailer.